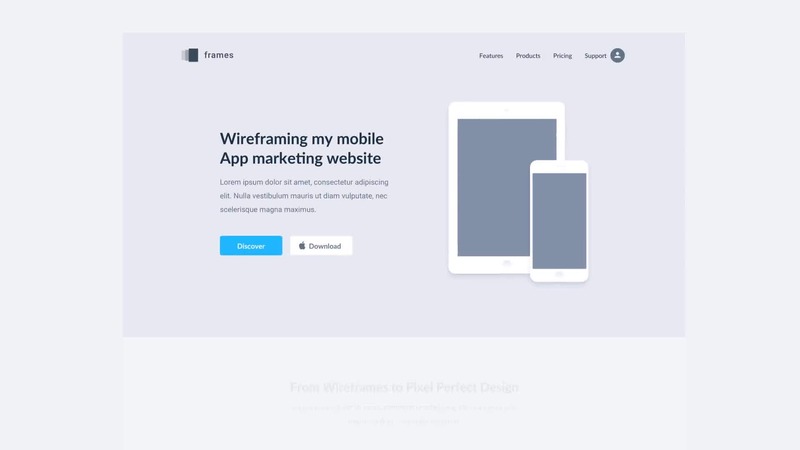 Go from idea to wireframe within minutes for any device, iPhone, iPad, Android and desktop. Perfect for the early stages of the design process when you’re trying to form your concept into something tangible and translate it to your team, clients or stakeholders. We’ve designed hundreds of simple wireframe assets for every device, all stored in our intuitive wireframing tool. All the assets are included with Marvel, no add-ons necessary. We&apos;ve taken care of everything, so you can focus on generating ideas. Share with your colleagues, clients and stakeholders at the click of a button. Simple link sharing means you can access your wireframe anywhere and open on any device. Once they have access, Marvel becomes a collaboration platform for you and your team to give actionable feedback. Join nearly 2 million people wireframing with Marvel. Get started for free.